Spend your Presidents' Day holiday in a special workshop taking advantage of the incredible stories from the WWII era. 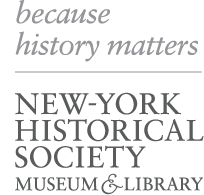 In another wonderful collaboration between the New-York Historical Society and Writopia Lab, writing and history educators will lead age-based groups through this fascinating time period and exhibition, inspiring their short fiction, poetry and other forms of writing. Each day will combine time in the galleries, up close investigation of objects and documents, and time writing and critiquing. Kids will work in small age-based groups, guided by educators at all times. The class is held jointly on-site at the New-York Historical Society and at Writopia Lab (W. 81st and Columbus).